If you’re a fan of online multiplayer action games, BHB is worth checking out. It’s pushing the concept of F2P Facebook games into exciting new territory – combining stunning 3D artwork, intense action, real-time multiplayer gameplay, social elements and more… It’s the Facebook game of the future! The past year at Spicy Horse we’ve been pretty quiet about the projects we’re working on. There’s that secretive development of a PopCap IP – which if I even mention beyond those few words will result in pain, then death at the hands of an angry Borg-Zombie lawyer hoard. But we do have our own, original IP in development and no one telling us to “put a cork in it” about those. First out the gate will be “BigHead BASH“. BHB is an action oriented, social online game with virtual items. Set in a toy store, the game revolves around side-on multi-player shooting matches. Players purchase toys and weapons from the shop, fight them, collect them and swap them. Licensed content will play a role in driving what sort of toys are seen in the shop; we’re signing deals with brands, bands, toys and games. Some very cool virtual toys are already in the pipeline. Over the weeks to come you’ll start to see a lot more “action” around the title. Starting immediately we’re releasing a series of very cool wallpapers and concept images. A game play trailer will hit the ‘net before too long. And, if all goes well with development, we’ll soon launch a Closed Beta among a small group in our fan community. By early 2012 the game will be live on Facebook and several other social-online platforms around the world. We have high hopes for the game – it’s among a handful of titles being developed with Unity for play on Facebook. We think Facebook gamers are looking for “more”: more action, more dimension, more variety and more FUN. BHB is our first shot at satisfying that demand. And it’s our first purely online game. It should be an interesting journey – and we sincerely you’ll join us on the ride. 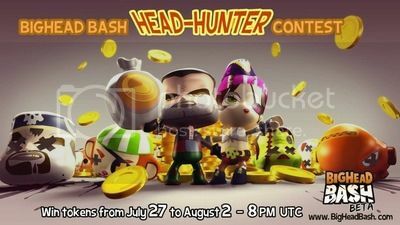 We’re looking for players, supporters, critics and even haters to help us shape the features and fun of BHB.